One year ago today, on August 29, 2016, Dallas Police officers responded to 3628 #104 Pine Street on a shooting call. 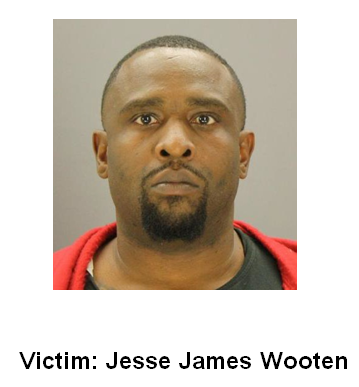 The victim, Jesse James Wooten B/M/35, was at his girlfriend’s apartment asleep in the bedroom with her and his girlfriend’s daughter. Two masked Black male suspects entered the apartment and demanded money. One of the suspects shot the victim causing his death. If anyone has information regarding this offense contact Homicide Detective S. David at 214-671-3627 or steven.david@dpd.ci.dallas.tx.us Please refer to Dallas Police case number 207656-2016. Crime Stoppers will pay up to $5,000 for information called into Crime Stoppers that leads to the arrest and indictment for this felony offense and other felony offenses. Call Crime Stoppers at: (214) 373- TIPS, 24 hours a day, 7 days a week.